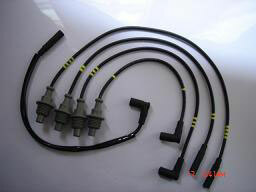 Our company is a manufacture base and specializes in ignition cable set, spark plug, such as Lada, Ford, Peugeot, Land Rover, Nissan, Toyota, Peykan, Daewoo, Opel, Omega, Suzuki, Jetta, Santana. If you are interested in them, please let me know . In addition , we can make new molds within 15 days according to your samples.